Movementarianism is a parodic look at the kind of cults that seem to have been prevalent across the 1970’s and 80’s in America, or at least that received a lot of media attention around that time; The People’s Temple, Synanon, Mankind United, and mix in a little Scientology for good measure. 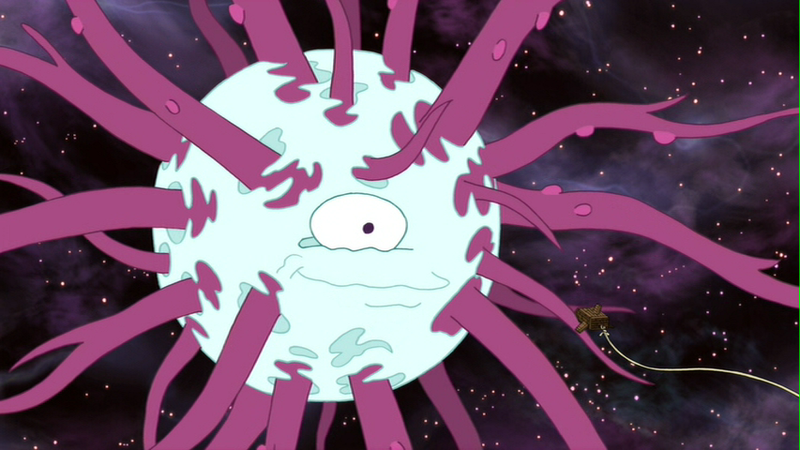 The Leader promises to take humanity into space, but is of course a fraudster in it for the cash. That cash now belongs to Cletus. The Doma Organisation are seemingly a business that does… Business stuff. It’s hard to really pinpoint exactly what these folk are supposed to be in business for, but trust us, they are real serious business people. However, when the facade of their venture capitalism drops and you challenge them to a plethora of card games, you end up finding that the Doma Organisation are secretly a cult that worship the shadow realm. Okay, there’s a bit more to it than that. 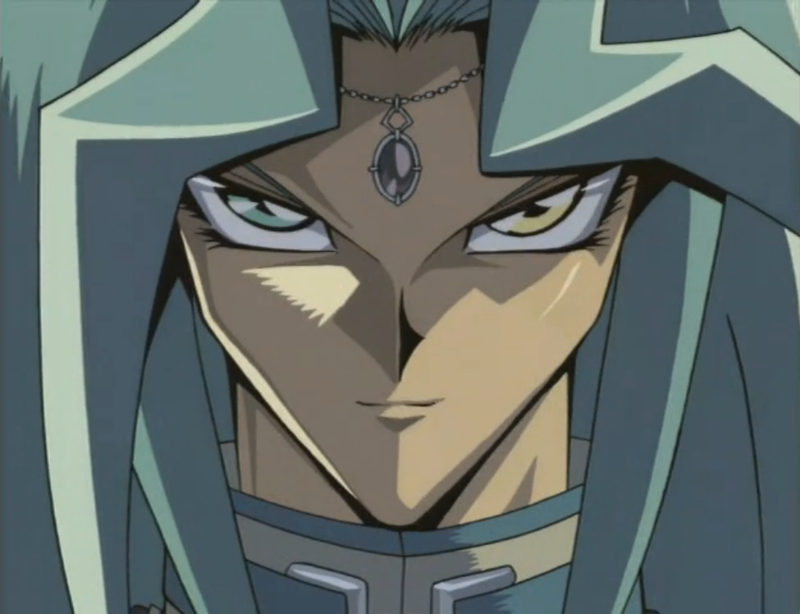 They’re really an ancient organisation that had arisen around the power of the leader, Dartz, who is over 10,000 years old. He controls an incredibly powerful card called the Seal of Orichalcos, which grants a 500 attack buff to all of the users monsters in play. But most evil of all, Dartz has gone from a 10,000 year old ‘potentiate’ of Atlantis, to a businessman wearing a flashy suit doing a business. Hey, in this series, that’s not that far fetched. I mean, have you seen Pegasus? Officially the name of the cult who wears blue robes, Happy Happyism is a really nice idea. Happy Happyism is led by charismatic priest-like leader, Mr. Carpainter. They all really enjoy the colour blue, to the point where the Insane Cultists who work with Mr. Carpainter all wield a blue paint coated paintbrush as their main weapon. I mean, if you can’t beat someone down, you may as well change their fashion sense, right? I wasn’t being mean when I said Insane Cultists, that is legitimately the name of the enemies that you face during this part of the game. They’re trying to spread the message by painting everything blue, but I don’t really know how this ties into being happy. Still, they managed to convince a small portion of Peaceful Rest Valley, by having the little village’s name officially changed to Happy Happy Village. Remember kids, when it sounds too good to be true, it’s likely that Pokey Minch is somehow involved. Tricky, but this is officially a cult in Magic: the Gathering, as well as one of the guilds of Ravnica. Oh, hey, we’re currently back in another new Ravnica block – Fancy that! Ravnica is split by 10 guilds, all of which represent a different dual-colour scheme. 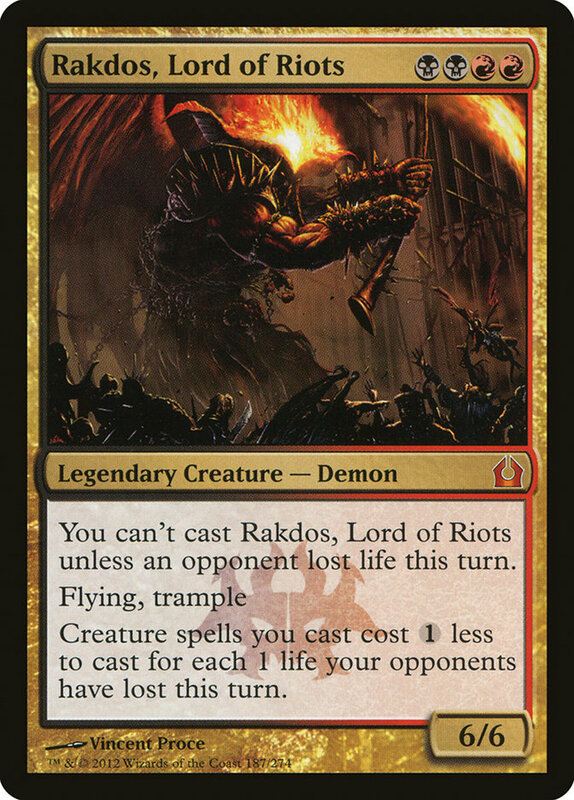 The Cult of Rakdos are Red/Black in colour, which represents the chaos the guild can bring. Amusingly, the guild is led by the demon Rakdos, who was only made a Parun (guild leader), because the other guild leaders didn’t want to have to deal with him in any other way. He’s a demon of utmost power, as is represented by the above card. So the Cult of Rakdos was formed by eating the flesh of the one who raised Rakdos from his pit, turning those who would eat her flesh into the cult we know today. Be forewarned, if you fight against a Rakdos deck, you’re going to see a lot of Unleash cards in the current block. The damned are stronger when unleashed, after all. This entry placed highly because of how incredibly well explained the formation of the cult is. As the threat of the Aetherials begins to consume people from the south, raising dead horrors and monstrosities that drive the army of Cairn back, refugees seek shelter among any group who can promise food and warmth, and any sense of community, especially if the only thing they ask in return is a little blood. So what if people go missing? The Ch’thon cult provide, and keep them safe from worse monsters, creatures that have destroyed civilisation. So what if they consort with demons? Are the demons going to steal your corpse and turn the hollow shell against you family? Seems like the Ch’thon worshippers are the ones to follow, and maybe there’s something in the scriptures and the rites that they practice, and a little more blood, and a few more “missing” people might make us all stronger. Two cults of a similar outlook, both relying on human sacrifice to ensure continued good life and crops for the people of a small isolated community, both lead by a charismatic “high priest” of sorts. The Children of the Corn, based on a Stephen King book, children in a small Nebraskan village are goaded into sacrificing their elders to a creature known as “He Who Walks Behind The Rows” for a good harvest of corn. When their parents don’t prove plentiful enough, a pair of lost holiday makers are pitched against the cruel leader Isaac Chroner and his followers, and must fight for their lives against a pre-teen lynch-mob. In The Wicker Man a missing girl case turns out to be a ploy, designed to bait a former resident into returning the Summerisle for sacrifice in the titular effigy. In the adaption of David Pinner’s book Sergeant Neil Howie is stonewalled by the darkly pagan population, convinced that there is no crime to be investigated, and is led by a trail of breadcrumbs to his own demise at the hands of Lord Summerisle’s devoted congregation. TWO VERSUS VOTES? Which of these cults will put food on your table? The surviving members of humanity are forced to flee across the galaxy, constantly hounded by the machines that threatened to exterminate them. Their lives are lived in perpetual fear, and the prophet into whom they have placed their faith has been lying, and their gods have not proven any help in their darkest of days (so far). Is it any wonder they turn to the nearest available prophet? 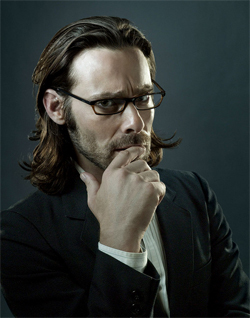 Enter Gaius Baltar, who has an epiphany in the presence of the enemy, and heads the voice of their singular god. He seems penitent, full of sincerity, and hears the voice of an angel in his ear. To him gather the lost, the forsaken and the desperate. He gains power, influence, a voice that carries throughout the fleet, and his congregation grows, and belief in him grows, and Baltar’s beard grows. Despite the tension caused, it may be the embracing of the single god that saves humanity in the end. The seventh season of American Horror Story, a staple of the American channel FX. 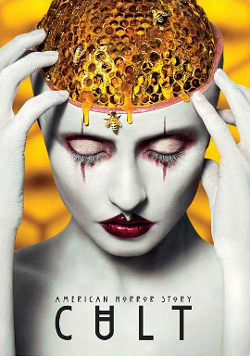 American Horror Story takes a setting in each season and creates a whole story based in the setting, which is often a limited space, with a recurring cast of characters. The stories are confined and well presented, which is why when we saw ‘Cults’ won this week’s vote, this was one of our big thoughts. Cult is based in America after the Trump Administration won the election. A cult of creepy, menacing people in clown masks comes after the protagonist, Ally Mayfair-Richards, whose phobias have been flaring up ever since the end of the campaign. Say what you will of the political views of the series, it’s truly an excellent example of a cult and what cult mentality can do to people. From the far northern eskimeaux idolaters, to the heathen rites of the bayou voodoo people, and everywhere across the far flung and isolated sects of our world there are bound to be common factors; human nature so often falls into patterns where the occult is concerned. 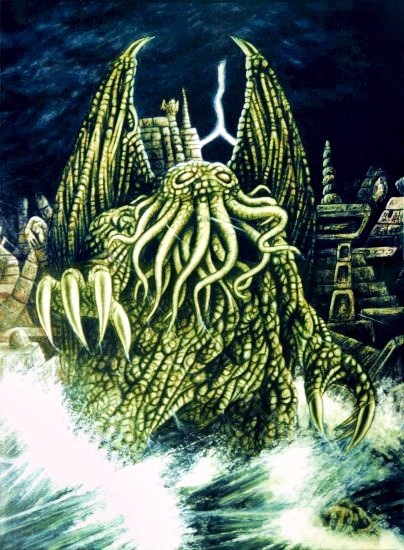 But why should so many of these unrelated cults carve the same blasphemous image of the cephalopodean entity, the slumbering priest from the stars, Cthulhu? Lovecraft can be considered as pervasive in occult and cosmic horror as Tolkien is in fantasy. End-of-the-world cults in fiction take as much inspiration from his mythologies as from real-world examples, spawning in isolation, recruiting from the shunned and isolated of society, or thriving in their obscurity and distance from civilisation. In this case however, their fanaticism is driven by those whose minds touched by the dreams of Great Cthulhu, as he stirs in his aeons-long slumber. The Dark Brotherhood has one person who becomes appointed as a Listener, who hears what The Night Mother says. This Listener then shares this with everyone else. Sometimes, people The Night Mother decides there should be a purge of her own minions and they embrace death as part of the journey. 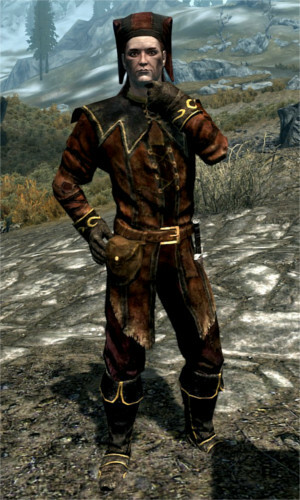 All in all, these dangerous individuals are amongst the most deadly in all of The Elder Scrolls and are a consistent presence across all of the games in the franchise. If you haven’t been following our list, then don’t worry – We’re not finished sharing with you some of the finest of cults that are out there. Well, we’ve shared with you the best, so here are two more cults that we believe deserve a look into for initiation! Yes, he catches flies in his mouth, the leader of the Wyatt Family is one of the most charismatic men to ever enter wrestling. With his ‘family’ of big, backwoods style brawlers, featuring Luke Harper, Erick Rowan and later the ‘Black Sheep’, Braun Strowman. Throughout their tenure, The Wyatt Family were fearsome, scary – Albeit a little bit odd. They’ve been part of some of the best – and worst – that WWE have to offer with the way they’re booked. Anyway, the Wyatt’s were cool, I’d not mind seeing them come back to fight the reformed Shield at some point – Providing the Shield stay together. Man, friendships in Pro Wrestling are difficult. 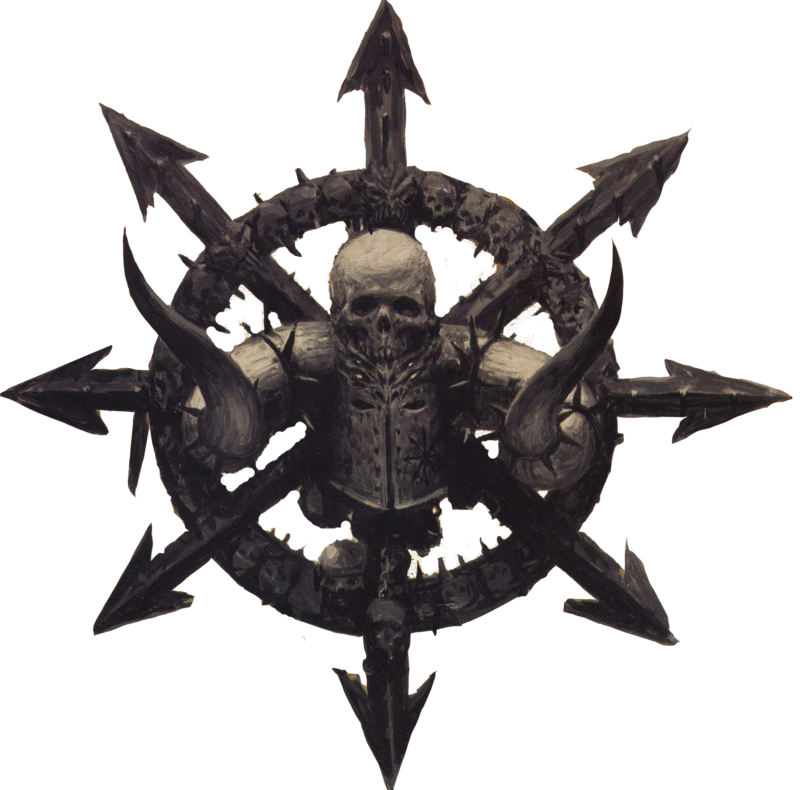 Among the many many cults and dark religions that we could have selected from across a breadth of fantasy sources, perhaps the most extreme would be the vast and fanatical forces of Chaos, divided among their four principle “Gods”: Khorne, of bloodthirst and relentless violence; Nurgle, of disease and decay; Tzeentch, of unceasing change and mutation; and Slaanesh, of hedonism and the heights of sensation. Chaos falls out of the “cult” title for being so vast, as it’s hard to isolate yourself and your followers from civilisation when you’re almost as big as the civilisation you’re trying to seperate yourself from, and harder still when you keep charging back in to butcher, infect, warp, and… “enjoy the company of” your noble and upstanding neighbours. Still, the tendency towards self-mutilation, sacrifice, and fanaticism makes Chaos a cult of sorts, if a little oversized. That’s it, you may now pull down your hood brother. Your initiation was a success and you are now one with us. Now excuse me, as we have some preparation to do for the ceremony. For you see, you are about to be inducted into our sacred hall… But before we can do that, we need you to answer one last test. Choose one of the three options below, but choose wisely, as that’ll affect your standing in the cult– I mean brotherhood. 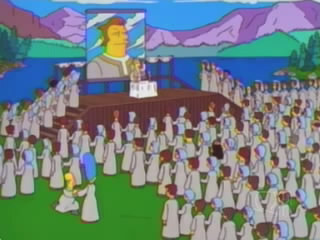 Phew, I think we got away with fooling all of these people to join our evil cult! Muwahaha! However, just because we’ve kept you to the end doesn’t mean we’re finished with you just yet. It’s now over to you for feedback – Did you enjoy today’s list, or did we forget some important cults? Share your thoughts with us in the comments below, or over on our Facebook or Twitter pages. 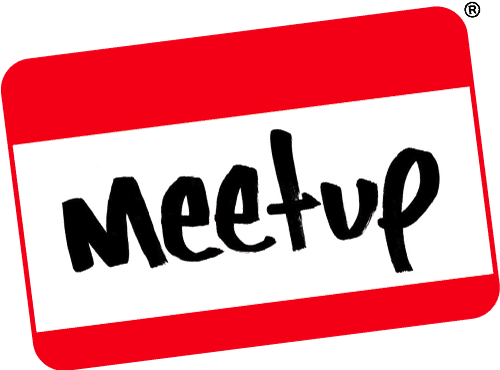 This entry was posted on October 20, 2018 by GeekOut Team. It was filed under Anime talk, Entertainment, Film, Literature, Television, Traditional Gaming, Video Games and was tagged with American Horror Story, Battlestar Galactica, Chaos, Cthulhe Cult, Cult, Cult of Ch'thon, Cult of Rakdos, Cults, Dark Brotherhood, Doma Organisation, Earthbound, Futurama, Gaius Baltar, Grim Dawn, Happy Happyism, Magic: The Gathering, Movementarianism, Simpsons, The Children of the Corn, the elder scrolls, the wicker man, The Wyatt Family, Top 10, Warhammer, WWE, Yivo, YuGiOh.